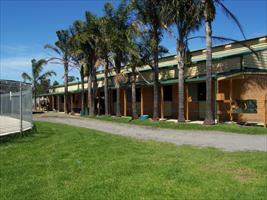 Gwenda has two stable complexes, situated at Kembla Grange in the Illawarra, just a short drive south of Sydney. Gwenda has been the leading trainer at Kembla Grange for the last eleven years. Her horses race at Interstate, Sydney/Metropolitan, Provinical and Country race meetings. Remarkably Gwenda, is a hands on horse trainer. She rides trackwork 6 days a week and she is a very astute judge of a racehorse's ability. For 11 years, Gwenda has continually prepared a string of provincial and metropolitan winners. Her horses exhibit a strong will to win in close finishes.